During London’s bid to stage the 2016 World Cup in London, Chris Roche approached the Football Association with an idea for a Museum of the World Cup to be included in the new Wembley Stadium. 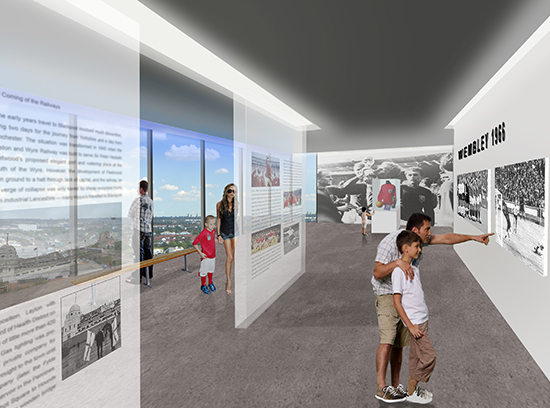 It was proposed as a visitor attraction for tourists and also for sportspeople of all ages. It was hoped it would strengthen London’s bid and help secure the World Cup for England – a decision which went to Rio, and is now the subject of international scrutiny. Although recognised by the FA as a great idea, this project was not realised due to concerns about FIFA’s copyright protection policies, which ironically restrict the promotion of the beautiful game.